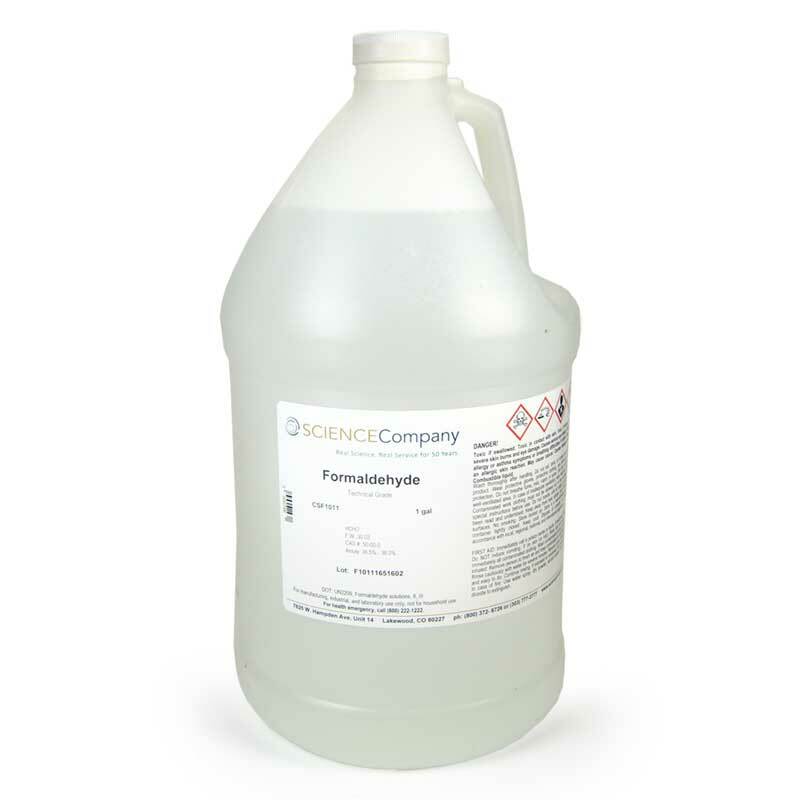 Formaldehyde or Formalin, 37%, 1 gallon jug for sale. Buy from The Science Company. 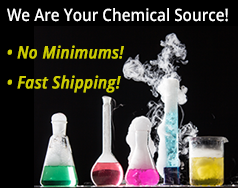 Our commercial grade of Formaldehyde or Formalin solution contains 15% methanol as a stabilizer. It is a colorless liquid with a strong pungent odor and is soluble in water and alcohol. Its multiple uses include as preservatives, embalming fluids and as a corrosion inhibitor. It is important to understand necessary precautions prior to use as Formaldehyde is a strong irritant and possible carcinogen. 20 liter (5 gallon) Cat. No: NC-7523. 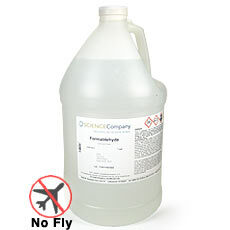 This one gallon size Formaldehyde only ships to destinations within the 48 contiguous US states and Canada using Standard Ground by FedEx or UPS • No air deliveries allowed • Customers in Canada should expect additional duties, taxes, and customs clearance service fees due upon delivery.